Lost Hollow constable Graham Gordon just walked into his abandoned childhood home for the first time in twenty years. Local teenagers have been spreading rumors about disembodied screams coming from inside. Now, thanks to a rickety set of cellar stairs and the hateful spirit of his dead father, he might never escape. Meanwhile, Channel 6 News feature reporter Afia Afton—whose father is the victim of a local decades-old hate crime—is meeting with town administrator Patsy Blankenship. Her mission is to develop a ghost story feature for a special to air on the station’s Halloween broadcast. When Patsy tells her about the screams at the Gordon place, the past and the present are set on a collision course with potentially catastrophic results. Can Graham come to terms with his father’s past and redeem his own future? Can the murder mystery that has haunted Afia for most of her life finally be solved? 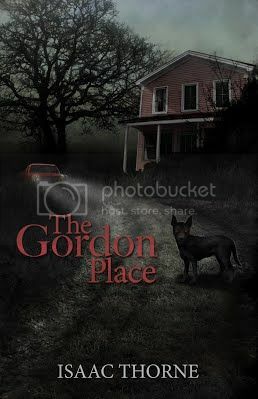 It’s a fight for the future and the past when spirit and flesh wage war at the Gordon place. The only net gain for Graham, if it could be considered such, that had come out of the election so far was that he had been able to use the position to convince the town to turn his old homestead over to him for a song and a promise he’d clean up the blight. That had been another lark. In the same town board meeting that had seen him sworn in as constable there had appeared on the agenda a plan to demolish the old place as a means of curbing the juvenile delinquency it seemed to entice. The rumors being spread by the kids in town had reached the board’s ears, and they had come to the same conclusion he had: the place was turning into an attraction for vagrants and ne’er-do-wells. Therefore, tear it down. When the time came for public input on the matter, he’d suddenly found himself standing—without having previously planned to do so—and arguing that the place had sentimental value for him and that he’d like a shot at restoring it. He might even turn it into some kind of tourist spot, an idea he’d come to by way of town administrator Patsy Blankenship, she whom he’d hung up on moments ago. She had already renovated one old local homestead into a bed and breakfast that hosted the occasional guest or local event. The board had balked at his idea at first, but after he’d promised to either clean up the blight or hand the old Gordon place back to the town for demolition within a year, they’d relented. Now he owned the home: a shelter for rats, snakes, vagrants, and bored teenagers. He had no idea where to begin. Graham pushed the thoughts away. This was no time to go second-guessing his life choices and cost himself what little nerve he had summoned to search for trespassers. He sidled up the hall. The back of his shirt created a loud scraping sound against the faded and peeling fleur-de-lis wallpaper covering the entry hall, a remnant of his mother’s New Orleans roots. He left his own narrow trail of Wolverine sole prints in the dust on the floor, carefully avoiding stepping on the ones left by the previous visitor. The physical memories of life in the house came flooding back to him. The sound of his footsteps on the hardwood floor. The sound of his father’s footsteps. Even the scrape of the wallpaper against the fabric of his shirt bubbled up memories of him dashing all over the house, running his hands and fingers over the walls as he did, just as any normal wild young boy might do. The tiny hook and eye latch that had been meant to secure the cellar door was already undone when he got there. Graham didn’t know whether his father had initially installed that latch, but he’d always thought it a silly and unnecessary addition. The door to the cellar was no more than three uneven slats of painted pine carelessly supported along their backs by two horizontal two-by-fours. Large gaps between each slat rendered useless any attempt to keep the cooler air of the cellar out of the entry hall by just shutting the door. Besides, it had always managed to swing shut and stay closed on its own—even unlatched—which was one more reason the cellar had made for such an excellent hiding place. A small wooden cabinet knob was mounted a couple of inches below the hook. Graham grabbed it and pulled. The door swung open easily on its spring hinges and without much complaint about the new tension; surprising after so many years of disuse. The ray from his Maglite spilled into the opening and revealed three splintery and slowly disintegrating steps, approximately one-quarter of the familiar set of plank stairs leading from the mouth of the door before vanishing into the damp darkness below. Graham felt for the light switch just inside the cellar door and flipped it on, but it produced nothing. He’d had service activated so he could begin work on the place. Maybe the power company hadn’t gotten around to it yet. That would certainly explain the state of the security light out front. Graham stepped through the door. He’d covered only one tread before the sound of the creaking staircase started to get to him. There he paused, not allowing the door to swing shut behind him and not liking the soft and spongy feel of the tread on which he stood. It had much more give in it than he remembered from his youth. From this position, the narrow beam of his Maglite enabled him to see the end of the staircase, but nothing beyond. The final step looked black and almost completely rotted away. The one above it didn’t appear to be in much better shape. If he went forward, he risked breaking those steps, which would make climbing out of the cellar much more difficult. If he didn’t go on, and someone was trapped down here, he might lose his job in disgrace. Worse, a real law enforcement officer, like a county sheriff’s deputy, might end up investigating the “screams” and finding a dead body he’d missed out of fear, in which case he could at the very least be accused of neglecting his duties as an officer of the peace. Maglite secured in his left hand, Graham pawed at his right hip, immediately taking comfort in the shape of the county issue radio clipped to his belt. 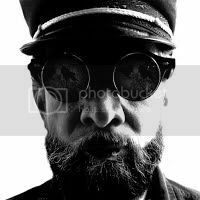 He ran his fingers along the top of the device until they closed around the volume knob, which he turned to the right. A thin click and a spurt of white noise erupted through the tomb-like silence of the old house. It vanished just as quickly, leaving in its wake the distinct hum of radio silence. Even so, it was reassuring that he had not only remembered to carry his direct connection to the Hollow County Sheriff’s Department inside with him but it also appeared to be in proper working order. From somewhere inside his head, he thought, the darkness replied: GOD AIN’T GOT NOTHING TO DO WITH IT. The next thing he felt was the bone-crunching shock of something blunt and heavy striking the back of his head. He heard what sounded like the shattering of thick glass. He was able to stay upright just long enough to feel what might have been a trickle of blood oozing from his scalp to the nape of his neck. A pair of unseen hands at his back thrust him into the darkness of the cellar, launching him down the full length of the rickety staircase. He fell forward, plummeting face first into the densely compacted earth beneath the house. The bridge of his nose exploded in a bright starburst of pain. His upper teeth crashed down on his lower lip, ripping open the pliable flesh. He felt an immediate swelling there. A thin stream of hot blood ran tear-like down his chin from the wound. Dimly, he heard the crack of splintered wood as his shins came down last, disintegrating the deteriorated lower steps in a fireworks show of wood rot and ancient dust. His radio went flying when he hit. He heard it shatter in a hiss of static somewhere off to his right. The base of his Maglite struck the ground at the same time. It flew from his hand and bounced off the earth once, twice, and rolled some distance over the ground before coming to rest against the farthest cinder block wall of the cellar. The lamp behind the flashlight’s lens flickered madly, creating a nauseating strobe effect, a stop-motion version of Graham’s shadow on the wall beside him as he at first struggled to regain his feet and then gave up, collapsing flat to the earth. The lamp finally steadied itself at a low burn, illuminating almost nothing about the cellar but the corner in which it had landed. It had come to rest too far from the limit of Graham’s reach. He stretched his left arm out for it anyway, hopeful that the darkness had merely created some sort of illusion of depth. His fingers clawed at the dirt for a second or two before they ultimately surrendered and lay still. Graham Gordon lay broken and exhausted on the black earth at the bottom of the cellar stairs. In the fading last rays of his dying Maglite, he saw an eye: a disembodied, full white orb broken by jagged lightning-shaped lines of red capillaries. The iris in the center of the eyeball was a murky dark brown color, unshining and nearly black. Its pupil was but a pinprick in the beam from the flashlight. It stared at him from just beyond the edge of the darkness, unblinking. ISAAC THORNE is a nice man who has, over the course of his life, developed a modest ability to spin a good yarn. Really. He promises. Just don’t push him down a flight of stairs. You can find Isaac on Twitter or on Facebook. Cuts on 24/7/365 horror-themed SCRM Radio at scrmradio.com. More of Isaac’s work is available at isaacthorne.com and wherever books are sold.